Holy crap I fixed these! So yeah! Remember these, from like, two years ago or something? I finally fixed them! They don't flash blue in neighborhood view anymore. The grungy underside texture had to be added to each recolor, because if the subsets are split flashing blue happens. So there's doubles of it because I didn't feel like coming up with six more grungy textures for the stone bit. Sorry! These require AL, and some texture bits came from poe's extracted Left4Dead textures and the rest came mainly from cgtextures, I think. Also, the new files do not overwrite the old, so you'll have to manually replace them if you had the old ones. Also, while I'm uploading things, I recolored some more pictures in fancy frames. I really love this mesh and the recolors other people have done, but I wanted more because I am a pickyface and I like to have lots of options. So I slapped on some textures which pretty much all came from tumblr or Weheartit! 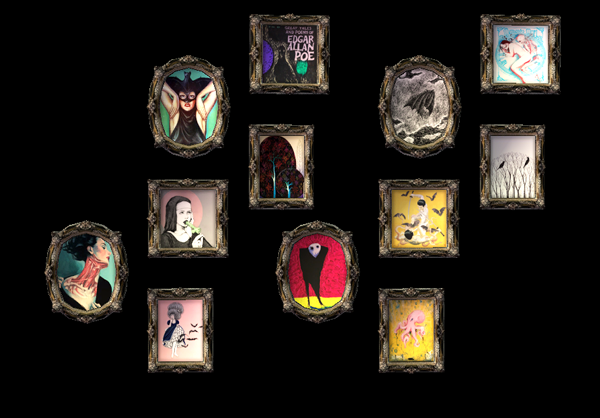 And I thought perhaps other people would like some more weird pictures in really fancy frames! So here they are! If you don't have the meshes (I say meshes because this set is repositoried; you also need the armchair from this set), you can get them here at this mirror of Adele's site. The painting mesh is not included, because I altered the price of mine from somewhere in the quadruple digits to somewhere in the triple. 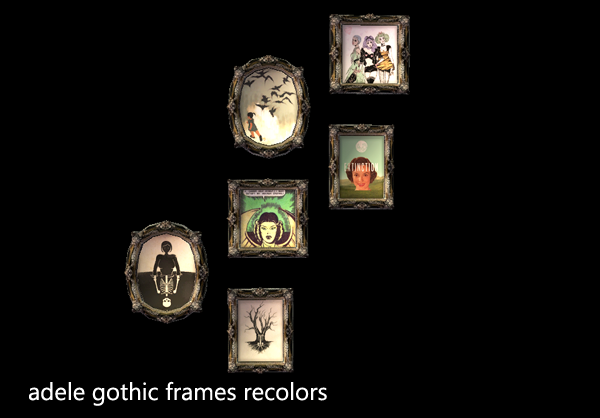 The frame texture is Adele's original. I really like it, and I don't think I could do anything prettier than that even if I didn't! Both these are GREAT. Thanks for sharing! I'm so glad you like them! You're most welcome. I love you. Because of the roof pieces. 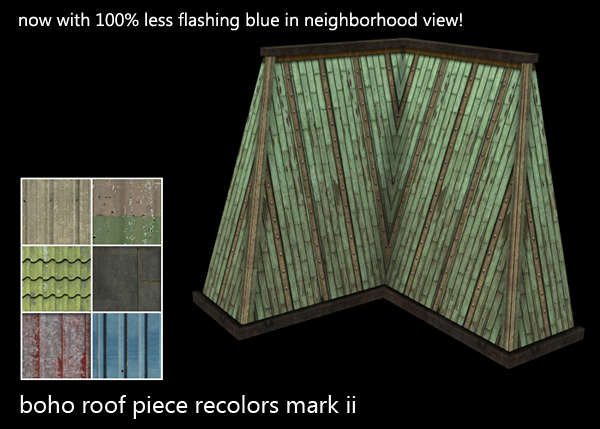 The painting recolours are nice, too, but oh my god, the roof pieces! Great stuff. I'm glad you're so pleased! :DD Thank you. Seriously, you have great taste. I love the AL roof pieces and I really, really love what you've done with them, to the point I am super fired up about building even though I've been meh about it for months. The artist of that piece has done more in that vein that are just amazing, here: http://felix-blommestijn.blogspot.com/ Unfortunately, that's the -only- work from him I can find, which is a shame because I love, love, love that style. How disappointing, I love that style too! Thanks loads for the link, though! 8D I'd never seen any of his other work.